Genkiosk provides the optimum solution for distribution of free information kiosks. Whether it’s maps, timetables & local knowledge or stylish museum presentations the Genkiosk solution offers the chance to create a first class experience for your users. Genkiosk Information Software is ideal for businesses and organizations of any size looking to establish a solid platform for their kiosks estate, where absolute control and smooth operation are paramount. 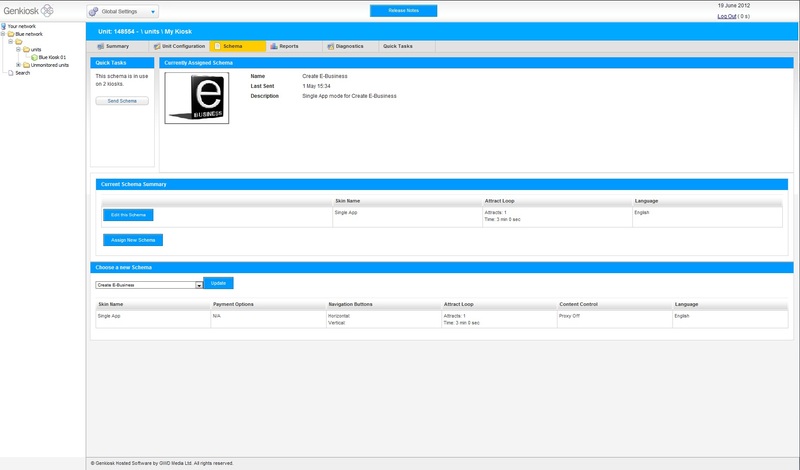 Genkiosk software can be managed remotely, which allows you to update your whole estate at the touch of a button. Information kiosks rarely generate direct revenue, so it's important to keep your costs down. Using Genkiosk means fewer site visits, which cuts down on travel costs and minimizes your carbon footprint. Genkiosk is built on a multi-lingual platform, which ensures a clear message for every audience. Genkiosk reports on user sessions and average session time, so you can ensure the kiosks are providing value. Use business rules to create email alerts for service outage or peripheral failures. Fixed cost, no hidden surprises! Genkiosk is provided on a basic platform fee, with individual kiosk licences bought separately and flexible support packages. How do I block inappropriate content? Genkiosk can proactively monitor your kiosk’s proxy filters. Users will only see what you allow them to see. Can Genkiosk monitor my peripherals? Yes, Genkiosk integrates with a wide range of peripherals and can tell you when there is a service outage or problem with consumables. If your device is not part of our core compatibility list our developers would be happy to complete the integration work for you. What's it worth to make your customers feel informed, looked after and in the loop? Read our Genkiosk success story to find out how valuable Information kiosks can be.